How do people react to significant organizational change? Do we see ourselves as helping change to come about, or allowing change to happen around us? How can we adapt more easily to change? Based around an illuminating extended case-study, this important text uncovers the reality of organizational change. From planning and inception to project management and engagement, this book explores the views and reactions of various stakeholders undergoing real-life change processes. Drawing on theories of organizational culture, it helps us to understand how organizations can promote change without alienating the people needed to implement it. 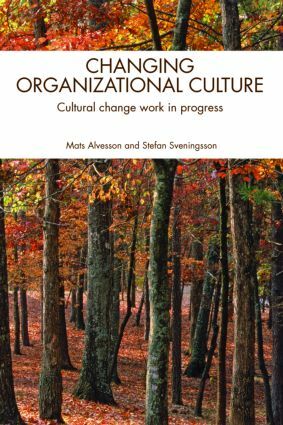 Changing Organizational Culture represents an original and timely addition to the literature on organizational change. It is vital reading for all students, researchers and practitioners working in organizational theory and behaviour, change management and HRM.